Dear Yelpers....please STOP raving about average burgers. I don't know what it has been about Yelpers and burgers from ethnic neighborhoods, but perfectly average burgers from neighborhoods, which weren't predominantly Caucasian, have consistently received a 40% lift in reports of their quality. In truth, Dino's Chicken and Burgers, Olympic Burger, Capitol Burger, and Olympian Burger were all dumps that served very average to below-average burgers. All these joints got rave reviews on Yelp. Fat Bruce Lee, ChiBurger, and I dutifully made our way to K-Town to sample Yelp-darling Dino's Chicken and Burgers. The "burgers" part of the signage should have been in a pale gray, 8 point font--Dino's forte was grilled chicken and fries. There were two lines, ten-deep, of people coming for that chicken. It was piled deep on the grill. They were cooking fries in three fryers, 6 baskets at a time. They moved some tonnage over at Dino's. We ordered a couple of 1/4 pound cheeseburgers, two orders of fries, and two beverages--that was $9.40...not bad. Our meals were up in 6 minutes. ChiBurger went rogue and ordered the chicken. ChiBurger made the right call, as always. The Beef: This was garden-variety Chuck. It was vaguely beefy, but it did have a nice funk from aging. It was neither greasy nor juicy. The beef was OK in these cheeseburgers. The Seasoning: The burger patties were barely seasoned, and that may have been the remnant chicken seasoning from the griddle. I would have preferred a much larger dose of seasoning to punch up the mild beef. 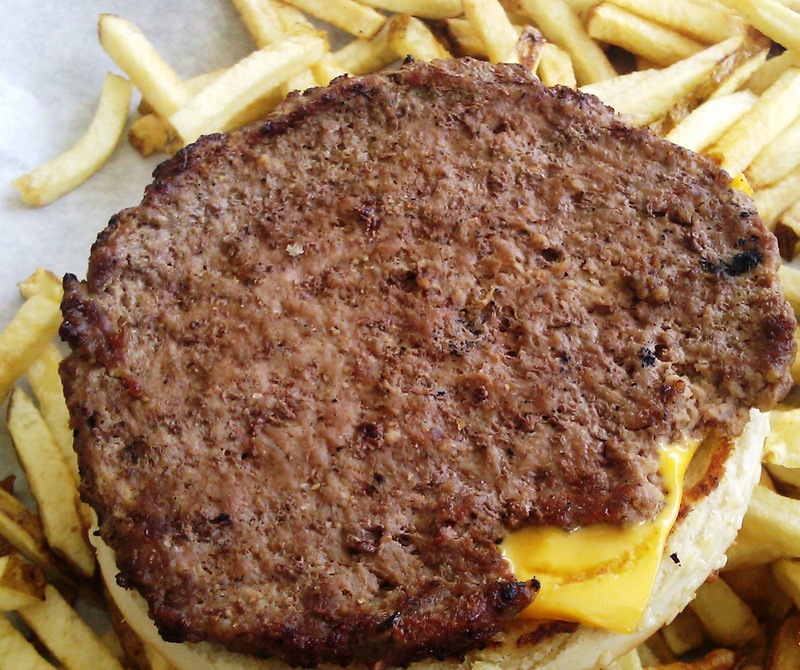 The Sear: The patties were VERY THIN, so very little sear was developed during the cooking process. The Preparation: The burger patties were cooked on a properly hot griddle. The beef was probably formed into patties on-site that morning. The grind was medium, and the tender patties were not over-manipulated while being formed. The Cheese: The Cheese was a savory, gooey American. The cheese added the right amount of moisture to the dryish burger patties. 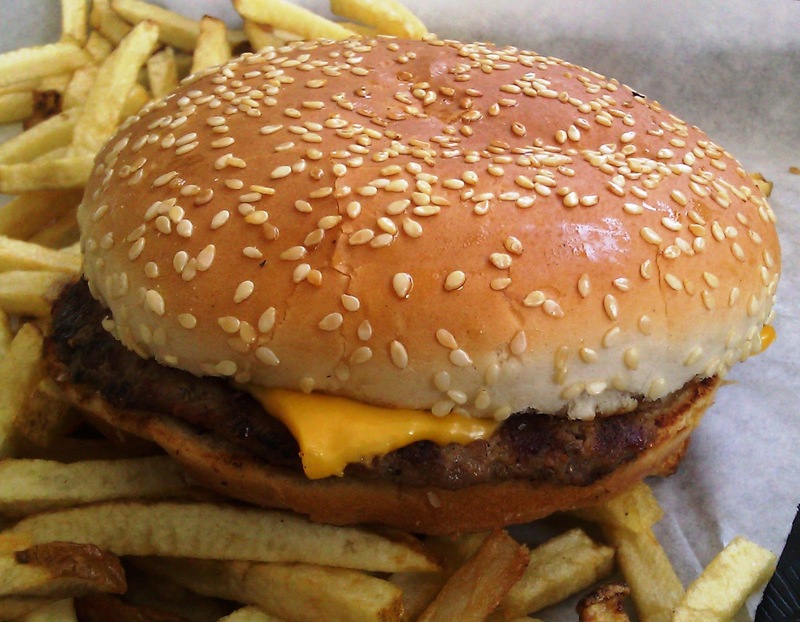 The Bun: The bun was a moist, barely sweet, seeded hamburger bun. The bun was lightly toasted on the griddle. While the bun was not fantastic, there was nothing wrong with it. The bun was OK, but it should have been toasted longer to develop some crunch. 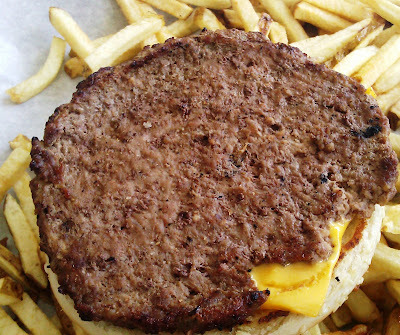 The Meat To Bun Ratio: The bun slightly overpowered the thin patty and cheese. The Fries: Dino's Chicken and Burgers did not par-cook their fries, so these peel-on sticks were very similar to what we have come to accept from In-N-Out Burger. 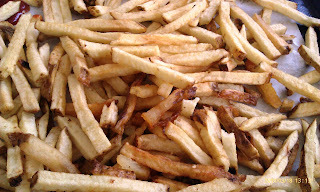 These fries were a little better than their cousin in terms of potato flavor, but they were very much in need of seasoning. 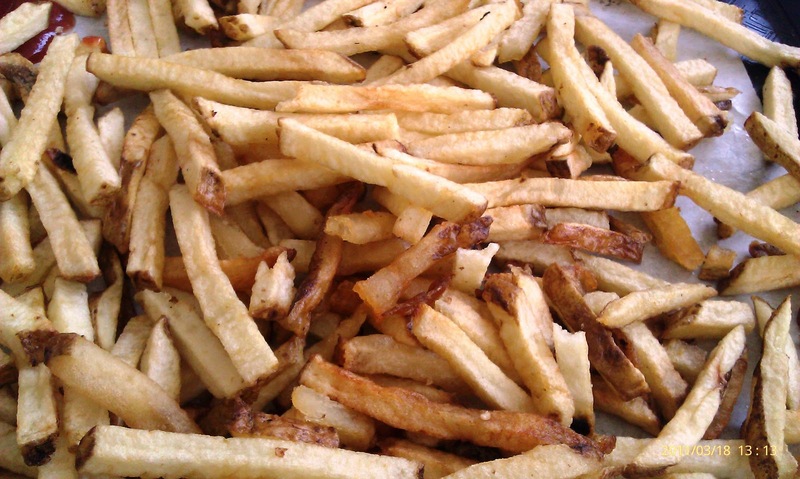 They were cooked to a perfect golden brown, and they served up a ton of them in an order. The Value: We paid was less than 5 bucks for a cheeseburger, fries, and a drink at Dino's Chicken and Burgers. The value was good. Burger Review : Average, OK, and fine. Dino's Chicken and Burgers charged a great price for OK burgers. Damn, though--that chicken was spectacular. Since you gave a thumbs-up for Dino's chicken, wanted to let you that there is a new location of Dino's CHICKEN and Burgers at 15794 Bellflower Boulevard in Bellflower, CA. If you're in the 562 area code, come by for a CHICKEN plate. Of course, we think the burgers are tasty, too !